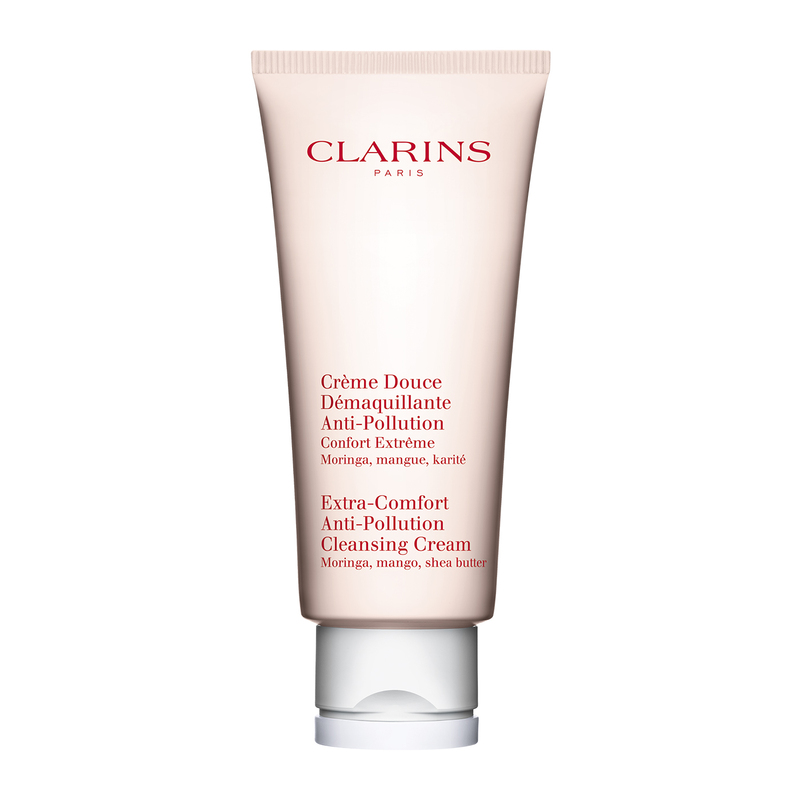 • A cleansing cream that rids the skin of traces of pollution. 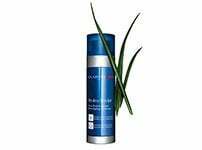 Detoxifies the epidermis and protects the skin from the harmful effects of pollution. • Nourishes, softens and hydrates. Restores the skin's biological balance to preserve its natural qualities and youthfulness. 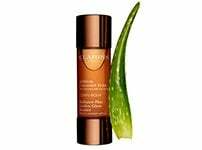 • The Clarins touch: A creamy professional cleansing method that is as simple as it is effective, this cleansing cream available for viewing on the Clarins website. Rated 1 out of 5 by A disgruntled customer from Bring the predecessor back asap please! I had hypersensitive, acne-prone skin. This was entirely alleviated by this product's predecessor, Clarins Extra Comfort Cleansing Cream. I have used this replacement cleanser and...it's terrible. It is not calming at all. Clarins, please read the feedback from your loyal customers regarding this product, and make a lot of people happy by reinstating it's predecessor. PLEASE! Rated 5 out of 5 by DaisyJ from A total surprise! I read reviews on this before purchasing and was surprised to see so many bad ones. I decided to purchase anyway because my combination sensitive skin really struggles with anything that foams so I knew the foaming cleansers would make my skin tight. I have never used the previous incarnation of this cream cleanser but I have to say this has surprised me in a very good way! 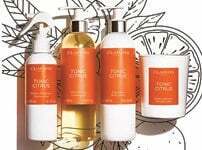 It smells luxurious, doesn't foam and leaves my skin feeling soft and most importantly clean. I use a damp facecloth to take it off and then rinse clean. I was worried that the shea would break me out or make my face oily, but I have been using this now for nearly 3 weeks and my skin has never looked better! I also use the aloe toner and the multi active creams. My advice would be, if you're on the fence ask one of the lovely ladies at a counter for a sample to save you buying a big bottle! Rated 5 out of 5 by Adele 22 from Luxorious Bought this item recommended by a friend and I can honestly say my skin feels cleaner and my face looks brighter. It feels gorgeous on your shin when you apply it, so Luxorious. I can honestly say my skin has improved , just coming to the end of my second bottle. Rated 5 out of 5 by Meeshwall1s from Excellent product After spending a fortune on products to find one that didn't set my eczema off, I have finally found the perfect one. 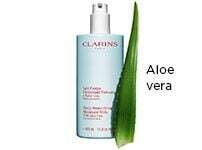 This face wash is quick and easy to use, so if you're too busy to mess on with a full regime every morning this product is great, thank you Clarins! Rated 5 out of 5 by Frankie75 from A great cleanser I love it as it's gentle on my very sensitive skin. However, I did prefer the cream when it was in a tub, an altogether different consistency and much easier than having to squeeze a tube with arthritic hands. I usually cut the top off the tube to get every last drop out. Rated 1 out of 5 by Rookie from Please bring back the tub. Very disappointed in the tube. Can't get it all out as I have arthritis in hands an cannot squeeze tube enough to get the last bit out. Not as good a product as the original product. Much easier to use in the tub. Please consider bringing it back.